Jakarta (VNA) – After 25 years of being dialogue partners, China and members of the Association of South East Asian Nations (ASEAN) will boost their strategic partnership by enhancing mutual respect, understanding, trust, support and pragmatic cooperation. 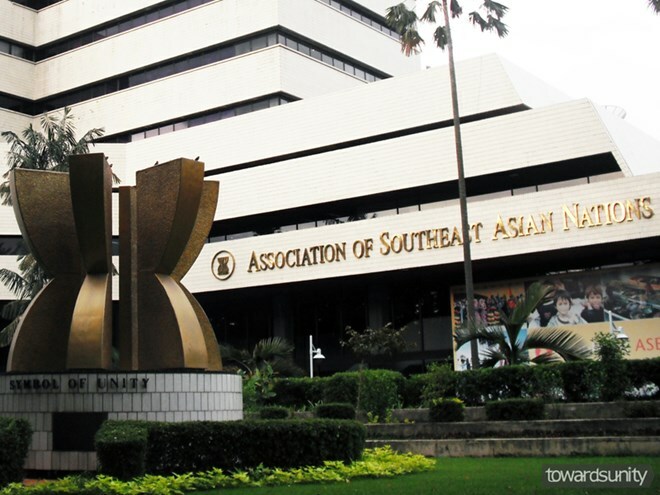 The statement was made by both sides’ officials at the 18th China-ASEAN Joint Cooperation Committee meeting which was held on April 10 at the ASEAN Secretariat headquarters in Jakarta, Indonesia. The meeting was chaired by Chinese Ambassador to ASEAN Xu Bu and Chen Han-cheng, Permanent Representative of Singapore to ASEAN. Two-way trade between China and ASEAN reached 452.2 billion USD in 2016, said Ambassador Xu Bu. He added that China is ASEAN’s largest trade partner while ASEAN is China’s third largest trading partner. People-to-people exchanges have been greatly enhanced thanks to rapid expansion of direct flights serving China and ASEAN countries, with about 2,700 flights per week, he said. ASEAN remains a priority in China’s diplomacy, said Xu Bu, pledging that China will continue to support ASEAN’s central role in regional cooperation and its greater role in regional and international affairs. For his part, Singapore representative Chen Han-cheng lauded the development of China-ASEAN relations and cooperation in different areas in 2016. He also spoke highly of China’s support for the development of ASEAN and the ASEAN Community.